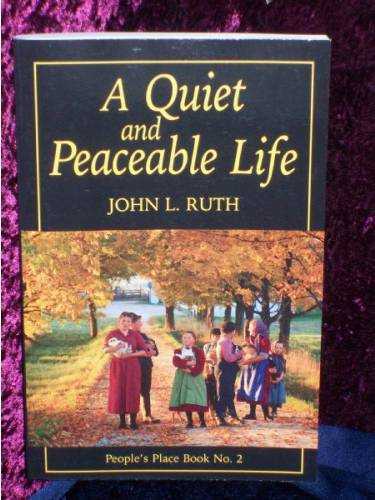 John L. Ruth, a Mennonite storyteller/historian, captures the spirit of Old Order Mennonite and Amish groups in his essays, along with photographs, poetry, and quotations. If the “plain people” of North America are to be understood in terms of their own concerns, we must consider sympathetically their own expressions and the biblical cadences they echo. Having maintained, with the tolerance of their society, a simple life as “the quiet in the land,” these folk still prize such pass#65533; virtues as modesty, humility, and obedience to God’s will, as interpreted by a disciplined community of faith. Their values, difficult to appreciate in a world bemused by progress, are seldom if ever articulated, except as curiosities, in our mass media. --John L. Ruth, in A Quiet and Peaceable Life.